It’s not often you get to meet a time traveler. After nearly thirty years of unanswered questions, we recently had the opportunity to sit down with Marty McFly to discuss some heavy topics. You won’t want to miss this historical event. 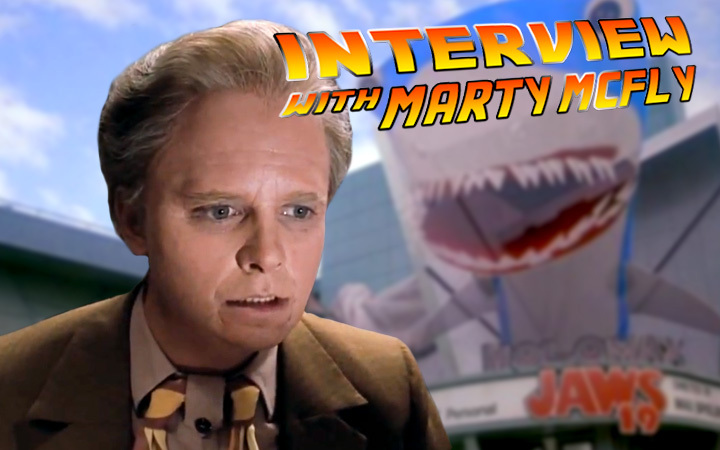 Pop Rewind: Marty, first off, thanks for agreeing to the interview. We’ve been looking forward to this one for a while. You’re a little earlier than we were expecting, though. Marty McFly: Well, actually, I, uh, was initially late to this interview. But then I remembered I had access to a time machine, so I just came back early. PR: First question: How do you introduce yourself at a party? 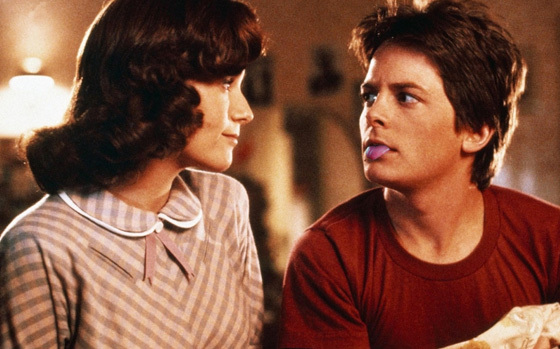 MM: I’m Marty McFly, watch me for the fourth-dimensional changes and, uh, try to keep up. PR: Your two weeks of fun in 1985 (and 1955, 2015, and 1885, for that matter) are well documented. Nobody’s really heard from you since. What have you been up to the last thirty years or so? MM: Jennifer and I have been busy raising Marty Jr. and Marlene. I’ve been trying to keep that damn kid out of jail, but I know it’s in his future. We just got a new Fruit-o-Matic for the kitchen installed. That thing works great! Marty McFly as seen in 1985, 1955, 2015, and 1885. PR: Was it weird when you got back to 1985 and your entire family changed? Did that alter your perception of reality? MM: Honestly, I was kind of surprised I woke up in the right family household. After all, I ended up in that house when it belonged to someone else in an alternate timeline. As it turns out, the reason we always lived there wasn’t because we were poor but because George, uh, dad is cheap. PR: What’s Doc been up to? Do you keep in touch? MM: He just rebuilt Brown manor. I think he’s also recently won a citizenship award. We don’t keep in touch much, but every once in a while a younger version of himself will stop by to say hi. Jennifer hasn’t really liked him since he put her in a sleep-induced coma. PR: Now that we’re caught up on the present, let’s talk a little bit about the future. 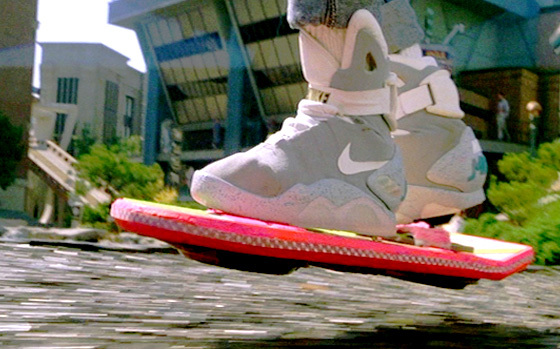 We’re just about to the point of when you traveled in the future, 2015. Has life turned out a little better than you originally anticipated? Did you end up in Hilldale? And now that you know your teenage self broke in to your older self’s house, are you just going to pretend to ignore your younger self on October 21, 2015? MM: My mom once said, I mean, uh, was once going to say, that if I hadn’t gotten in that car crash I would’ve ended up a rock star. Well, I managed to avoid the car crash, but I’m not exactly a rock star. Just another average Joe out in Hilldale, sending faxes from every room in the house. As for your other question, yeah, it’s going to be weird when he, or rather, my other self shows up. I don’t have it marked on the calendar or anything, but I’ll keep an eye out for intruders. PR: You probably wore out your pair of power lace Nike shoes twenty years ago. Has the wait to get a new pair been a let down? Nike recently hinted they’re not coming until 2015. MM: Sorry to disappoint you, but those shoes were junk. The auto-lace thing was cool the first few days, but it’s not like it really saved me much time. Actually, a few weeks later they malfunctioned and starting tying themselves too tight or sometimes tying themselves together so I’d trip. I hate the future. PR: What kind of car are you driving these days? PR: SPOILER ALERT – On your adventure to the future, you were surprised to learn the Cubs beat Miami in the world series. As of 1985, there wasn’t a MLB baseball team in Florida. Who are you banking on to win the World Series in 2015, now that you know there actually is a Miami baseball team? MM: I’m thinking maybe I’ll put some money on the Cubbies. I just hope everyone else doesn’t get the same idea, now that it won’t be much of a surprise. MM: The Miami………. Vice guy’s father’s brother’s nephew’s cousin’s former roommate. PR: In 1955, you introduced your parents to each other. Do they ever give you that “I know I’ve met you somewhere before” look? Marty met his mother before he was born. PR: Did you ever hear back from the record company on your audition tape? I was looking forward to hearing your band play at the school dance. MM: Actually, the Pinheads never went anywhere after that one audition at the high school. One of the teachers that turned us down for the gig ended up ripping off our song and had a huge hit with it. I try to keep up with the times, though, so I might give this whole MySpace thing a try for my new band. PR: Do you collect any royalties on Johnny B. Goode? I mean, who do you consider to be the original writer at this point, you or Chuck Berry? MM: I haven’t gone after him for ripping off my song that I covered from him, if that’s what you’re asking. PR: Doc’s experiments had a habit of screwing you over. Do you ever hold that against him? After all, his time machine invention almost got you erased from existence, attacked by a futuristic gang, and gunned down in the old west. MM: You know, I’ve gotten used to Doc’s “experiments” — as he likes to call them — by now. You’ve gotta remember this guy is always coming up with something incredible. If it’s not wasting my time with a mind reading helmet, it’s making me late for school by changing the time on all his clocks. PR: I forgot all about that! Did you ever find out why Doc’s clocks were all exactly twenty-five minutes slow? MM: Apparently, the first time travel test involved stuffing the DeLorean full of clocks and sending it twenty-five minutes into the future. Doc tried it again after the car got a hover conversion and thought he was being clever when he asked for the 117th time “Wanna see time fly?”. PR: Sounds like a bad Popsicle stick joke. I heard you have an uncle in jail. That must be a major embarrassment having an uncle in prison. What exactly happened there? MM: It must run in the family, considering my kid is going to end up there with him. PR: That’s heavy. A while back you asked what a gigawatt is. According to Wikipedia, a gigawatt is equal to one billion watts. Just thought you’d like to finally have an answer to your question. It also says the only power source capable of generating 1.21 gigawatts of electricity is a bolt of lightning. MM: What did you just say? PR: A bolt of lightning. 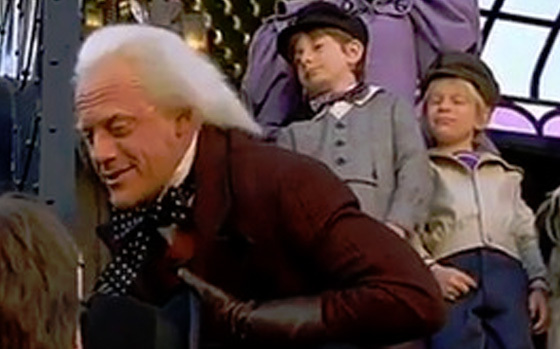 Moving on, do you ever feel like Doc was trying to run you over by having his time traveling train arrive on the same tracks you arrived on just moments earlier? MM: You know, uh, I never considered it, but now I’m starting to seriously question his motives and our friendship. Doc and his family aboard their time traveling train, a very practical vehicle for traveling through time. PR: Do you know what Doc’s kids are up to these days? MM: Last I heard, I think Vern was in trouble for something to do with his flux capacitor or something. Not sure about Jules. PR: Do you ever tell people about your time travel experience? Or is it a dark secret of your past? Future? Eh, you know what I mean. MM: Well, it’s kind of a hard story to top. People try, but they never top it. MM: Yeah, but I time traveled. MM: Time? I got all the time I want; I got a time machine. PR: Thanks for stopping by. See you in the future. MM: You mean the past. 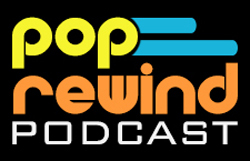 Thanks to Marty McFly for giving us the time for this interview! I never did find out what a rerun was.